Ascending Butterfly: Robert Pierre I'm All In Album Review! For Robert Pierre latest album 'I’m All In' is more than the name of his third studio album, it has become Robert’s life motto as he responds to God’s calling to live fully committed to Him. The album, being released on July 26 from thinkaboutit records is a collection of songs that enthusiastically and energetically worship God while wrestling with what it means to be a Christian in a world full of difficulty as well as joy, and anxieties as well as excitement. The Bible talks about how the eyes of the Lord are searching to and fro throughout the earth, searching for someone whose heart is wholly His, someone he can strongly support. This CD is me saying, "I’m all in." Creating I’m All In was a powerfully personal experience for Robert, who teamed with veteran songwriter Jason Ingram (Tenth Avenue North, Sanctus Real, Bebo Norman) and legendary producer Matt Bronleewe (Jars of Clay, Michael W. Smith, Steven Curtis Chapman) on the album and it shows! In addition to writing and recording 'I’m All In' and playing on a summer tour, Robertʼs weekly residency as worship director at Harvest Bible Church Orlando; the church his family helped launch just a few years ago, now welcomes upwards of 1,000 worshippers every week, keeps him extremely busy. And he’s done it all as a high school senior! It's hard to beleive Robert is so young! The music has a decidedly pop influence to it, and if you didn't know it was worship music, I could see where you could confuse it for a radio pop song, but not in a trite way by any means. I love that the message is in the words, delivered in an upbeat and relatable way! I can definitely see Producer's Matt Bronleewe's influence and get the Jars of Clay and Steven Curtis Chapman (one of my personal faves) influence. I like all the tracks, but stand outs include: I'm All In (Title Track), Sing For Joy, Dead to Sin, and Maker of the Stars. 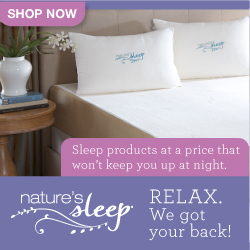 You can stay up to date on all things Robert Pierre on Facebook or on Twitter! I have always beleived that everything we hear, listen to, watch and expose ourselves to strongly influence our thoughts. Worship music has always filled my spirit and I'm proud to add Robert Pierre's 'I'm All In' to my collection! I know we live in a digital world, and I do add my CD's to my iPod in my 'uplifting' playlist, but I still like to have actual CD's! And this one will definitely remain in rotation! FTC Disclosure: This is NOT a sponsored post. No monetary compensation has been received. 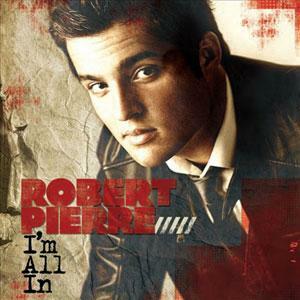 I received Robert's Pierre's 'I'm All In' CD for editorial consideration and to facilitate my review. I only recommend products or services I use personally and believe will be good for my readers. I am disclosing this in accordance with the Federal Trade Commission’s 16 CFR, Part 255: “Guides Concerning the Use of Endorsements and Testimonials in Advertising.” An Amazon Affiliate link to Robert Pierre's CD has been placed in this post.